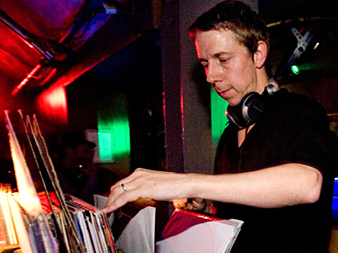 Back in May this year, Gilles Peterson put together a superb selection of drum & bass classics for his Radio 1 Worldwide show. During the late 90s, drum & bass briefly crossed over into into the mainstream, and Gilles’ Talkin’ Loud record label signed & released albums by 4Hero, Roni Size / Reprazent, and DJ Krust. This entry was posted in drum and bass, free download, mixtapes, music and tagged 4hero, adam f, alex reece, aquarius, breakbeat era, calibre, carlito, dj dextrous, dj hype, dj kane, dj patife, dj trace, doc scott, drumagick, ed rush, fernando porta, fugees, gilles peterson, grooverider, innerzone orchestra, johnny one drop, krust, lemon d, ltj bukem, optical, origin unknown, original playboys, peshay, photek, radio 1, ray keith, roni size, source direct, studio pressure, tom & jerry, uncut, underwolves, united future organisation, wax doctor. Bookmark the permalink. it on 12 spot, you should build quality backlinks , it will help you to increase traffic.